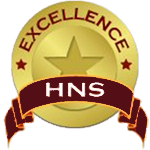 Dr. Luke Henry’s chiropractic office at 1314 Pelham Road in Greenville, South Carolina has been designated a “Center of Excellence” by Health Network Solutions (HNS), a managed care company that services Cigna, Medcost, Blue Cross Blue Shield (North Carolina) and others. HNS utilization report rated Dr. Henry, “excellent” and stated, “We commend you on the delivery of cost-efficient care”. Dr. Henry is a preferred provider for most insurances. Our office accepts Blue Cross Blue Shield, South Carolina State Health Plan, Blue Choice, Federal Blue Cross, PAI, Cigna, Medcost, United Healthcare, Aetna, Medicare, auto accidents, worker’s compensation and others. Call 864-288-7797 for an appointment.